Halloween is right around the corner! What are your little ghosts and goblins going to be this year? Perhaps a popular cartoon character, witch or creature? My kids were witches last year, but I encouraged them to be something different this year. I swear when I was a kid my mom made me a vampire or witch every other year! We got some good use out of that black cape…haha. One of my fondest childhood memories was attending Halloween parties. I loved them so very much! When we were kids back in the 90’s, we would do all the traditional Halloween party festivities. We would bob for apples, carve pumpkins, make crafts, and scare each other with creepy masks. We’d also eat Ellios Pizza, popcorn, chips, cupcakes, and drink the occasional orange soda. Ellio’s Pizza is also holding a special $10,000 scholarship contest! How can you win? In 500-1,500 characters, des cribe why your child (age 6-12) is a “Phenomenal Kid.” For full details, visit http://ellios.com/PhenomenalKids. Now that I have a larger house for entertaining, I want my kids to make those kinds of memories, too. 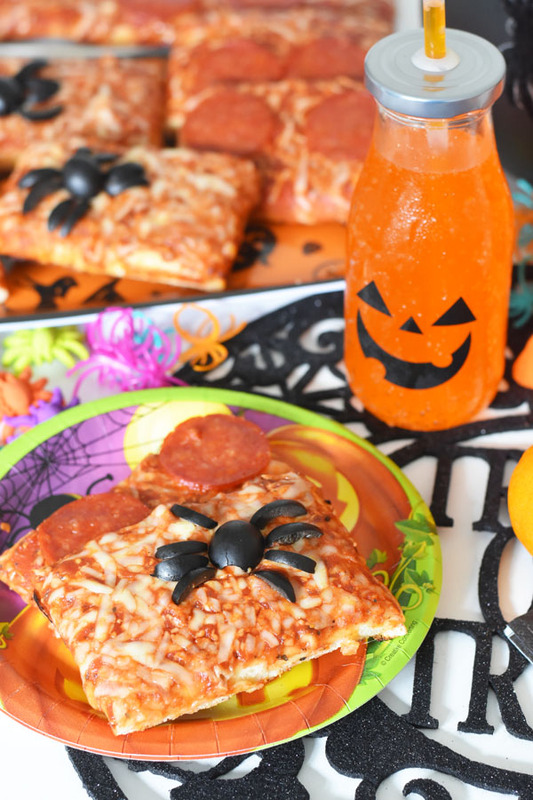 They love all things Halloween so I thought it would be cute to share some Halloween Pizza Party ideas featuring Ellios Pizza. 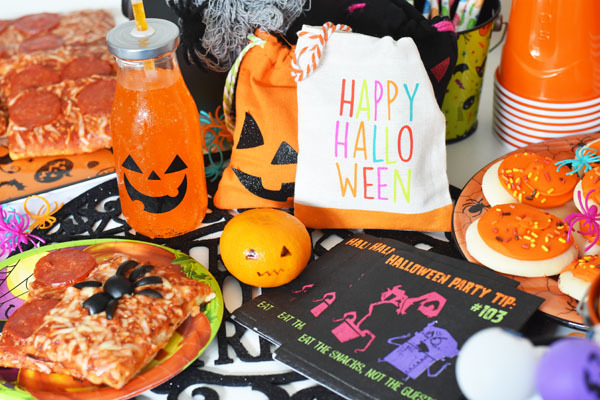 Ellio’s Pizza is the main meal of this Halloween spread, of course! I prepared both Ellio’s Cheese Pizza and Ellio’s Pepperoni Pizza for the party. It’s super easy to make, I just preheated my oven to pre-heat 425°F and baked for 12-14 minutes. To make things a little more festive, I made my own “creepy crawler” pizza toppings by cutting black olives in half – one half for the spider olive body, and the other half to make thinly sliced legs. Pizza and olives go hand in hand so this combo really works – for both taste and spooky appeal! I added the pizza slices to a cute Halloween tray and cut them into 3 slices each, as the serving suggestion. 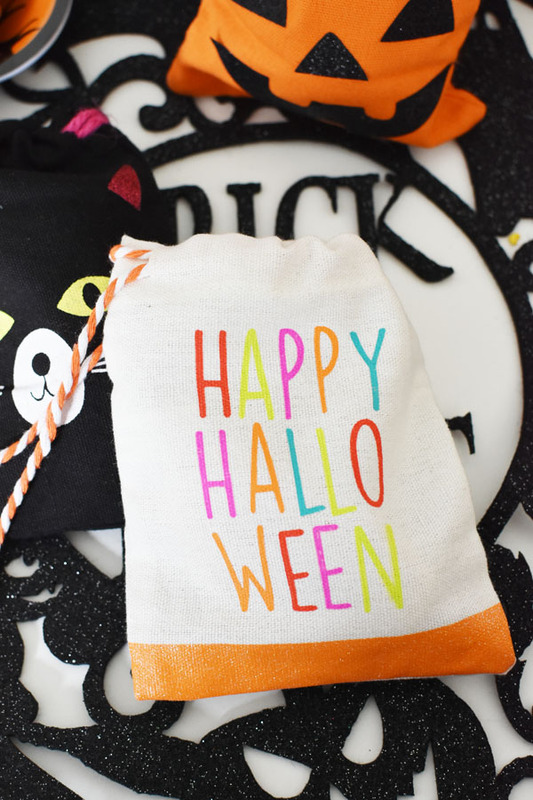 Little treat bags filled with fruit snacks were also on the table- these little Halloween satchels are too cute! We had some Halloween tins and Halloween ping pong balls for toss games. Little spiders were the prizes. Tangerines with food safe silly faces paired well with the Ellio’s Pizza. Oh, and how can you forget the sweet treats? 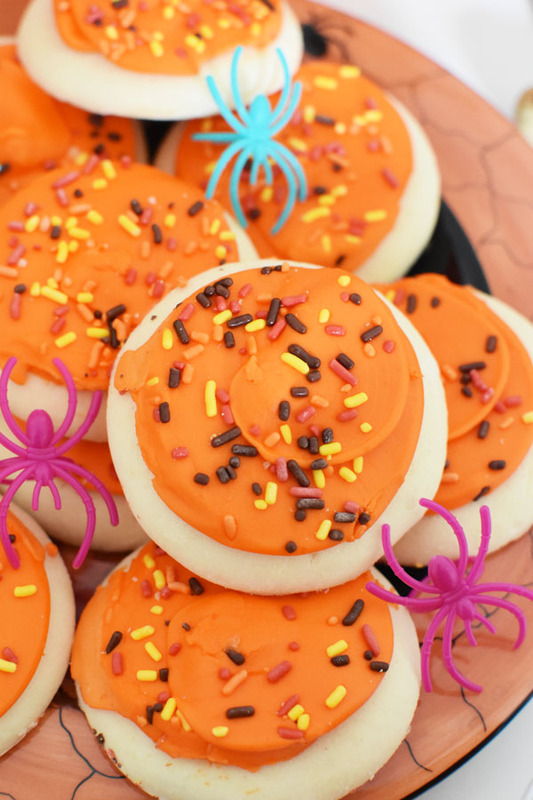 These frosted Halloween cookies were fun and tasty! Caffeine-free orange soda poured into orange cups or jack-o-lantern glasses were served at our party. 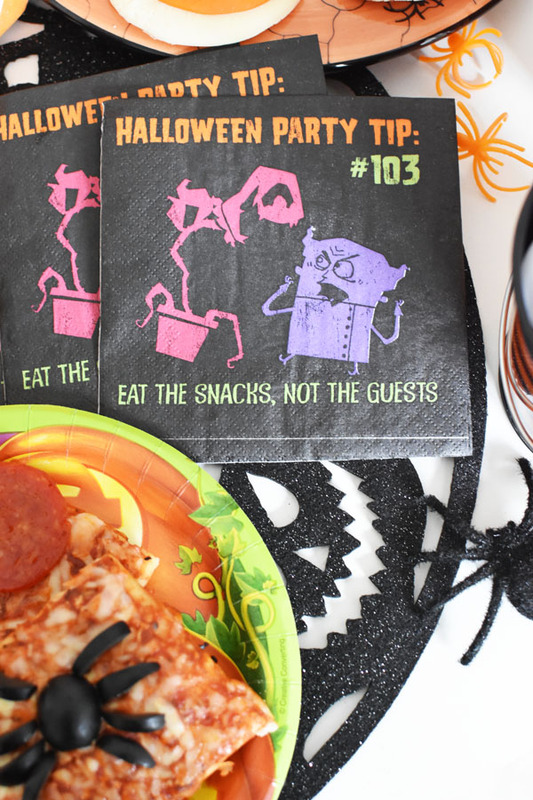 The look of our Kids Halloween Pizza Party comes together with Halloween napkins, plates, and table top decor. 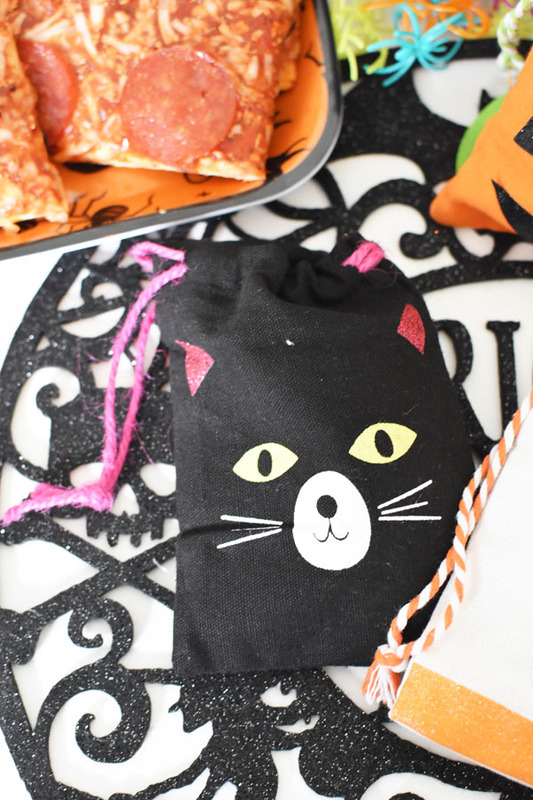 Ready to throw your own Ellio’s Pizza inspired Halloween party? Check out the store locator at the top of the Ellio’s website to learn where you can purchase Ellio’s Pizza near you and be sure to follow Ellio’s on social: Twitter, Facebook and Instagram. 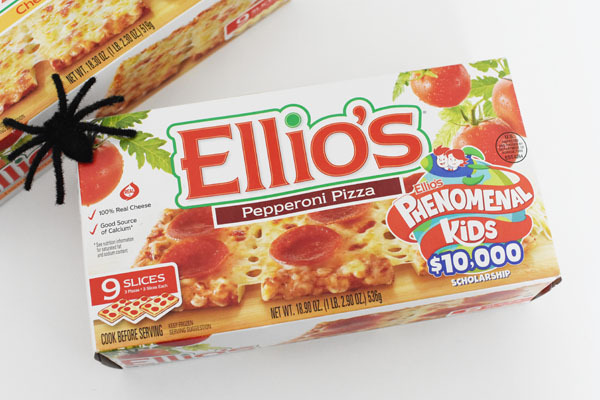 How will Ellio’s Pizza help celebrate your family’s next seasonal occasion? 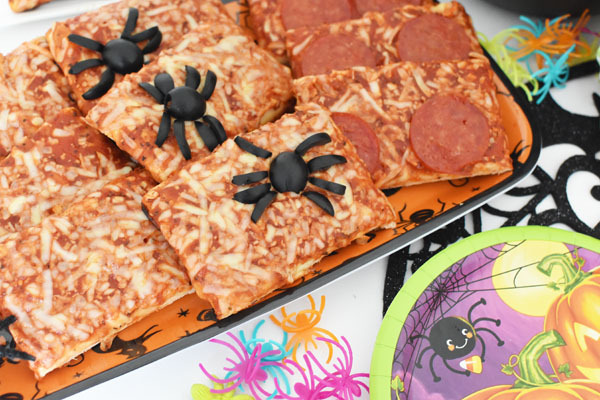 A Halloween pizza party sounds like a ton of fun! Ellio’s is delicious pizza. My family and I eat it all the time. OMG Those pizzas are so cute! I love the idea of cutting olives to become spiders! What a hit this would be at a Halloween party! My kids love Ellio’s pizza! I love that it is a quick afternoon snack for them. 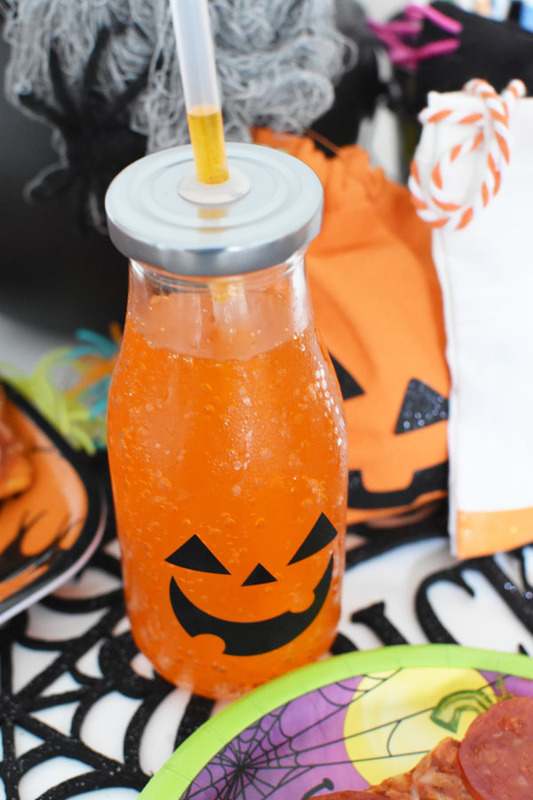 These are perfect for any little Halloween party. So adorable! Oh how kids love pizza! Everything about your party is awesome. Kid loving and that will always be a hit! 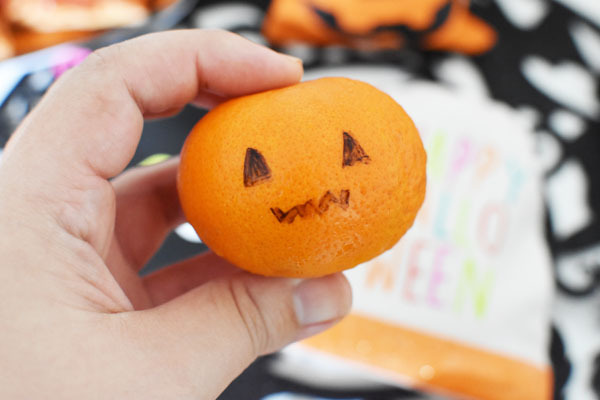 So many fun ideas to take our halloween party next week to the next level! Plus, what kind of party would be complete without pizza?! YUM! 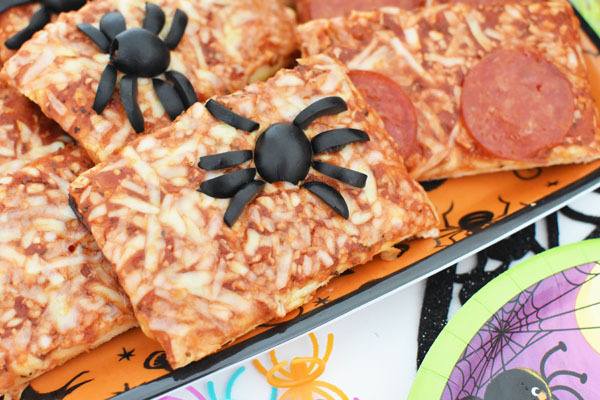 These are great ideas for a Halloween pizza party. I will have to try adding olive spiders to our pizza next time. This is the best Halloween pizza party! I love how creative all of the snacks and the drinks are! Kids always love a good pizza party. What a great idea for Halloween. 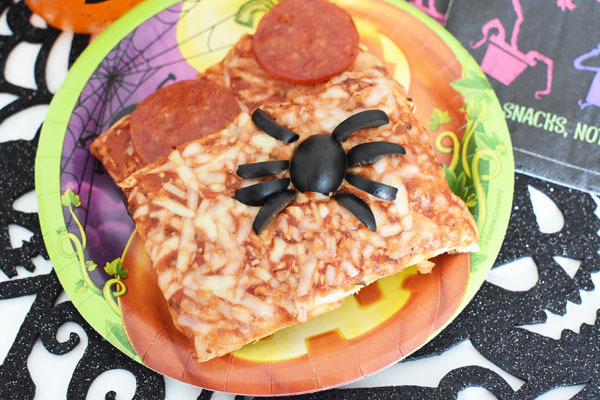 Everyone loves pizza Adding some Halloween touches to an everyday item is a great idea. Very cute and creative. Love the ideas and the pizza looks tasty . Ellio’s pizza is a lifesaver to me on a busy night. It makes a prefect family meal in a hurry that everyone loves. Your little spider addition is so adorable that I can’t wait to try it out and surprise the family! What fun ideas for Halloween. I’m sure the kids love these, I know my kids would love these halloween treats. These are great party ideas! I love the little halloween punches you added to everything! Who doesn’t want to have a pizza party? I can’t think of one person. This looks so fun!